Meet Hannah Grace, Creator of BeYOUtiful | YAYOMG! 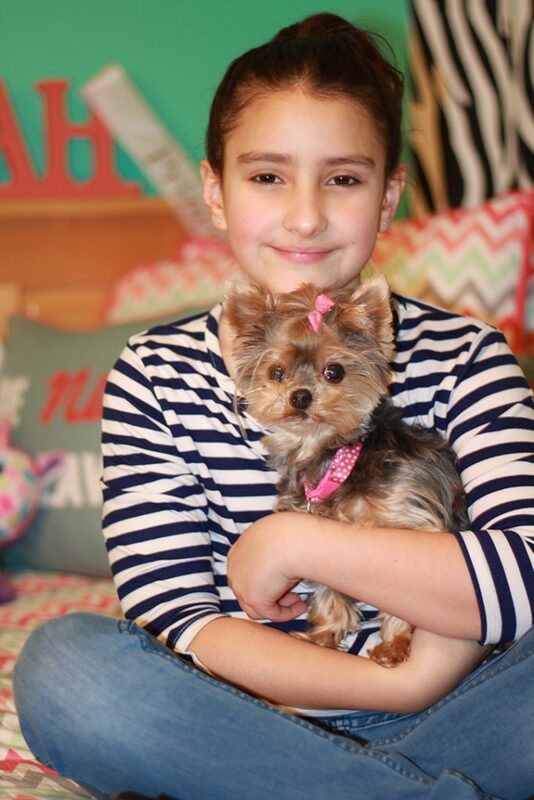 Hannah Grace is a passionate ten-year-old girl who loves health and beauty products, gymnastics, and DIY. She’s super driven, creative, and always buzzing with new ideas. 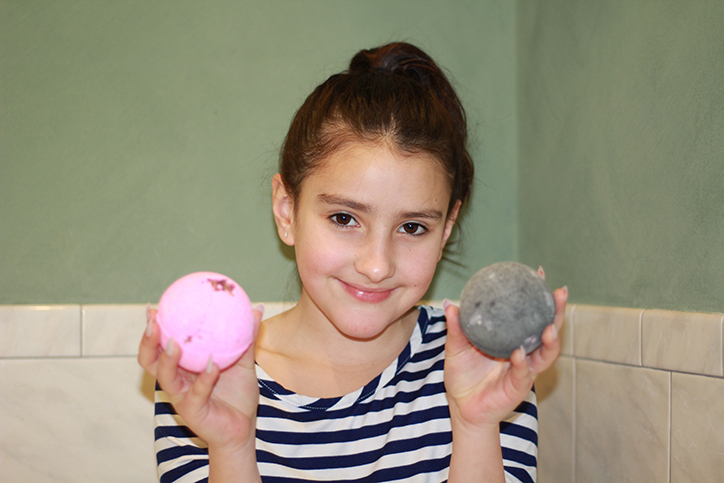 In 2016, she had her best one yet – to start creating her own bath bombs at home! 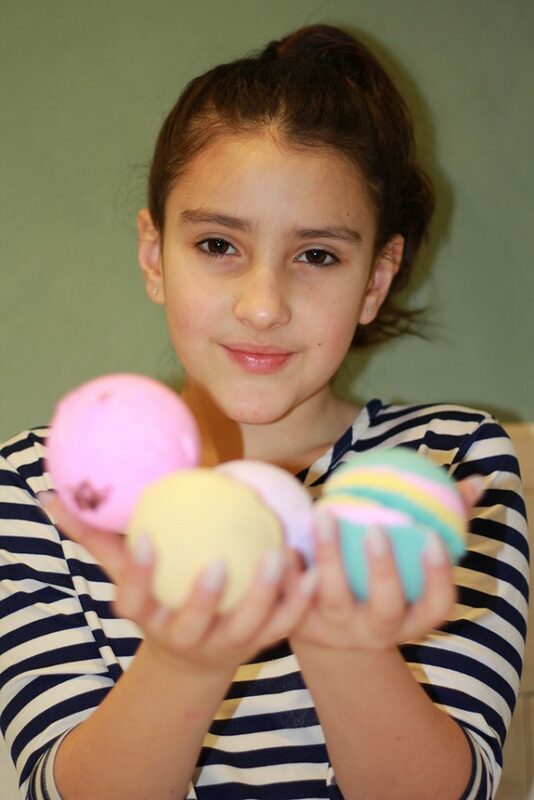 Hannah has always been a fan of bath bombs and other bath and beauty products, so after encouragement from her dad and a love of DIY projects, she started to try out different recipes to create her own. Even though she isn’t even in middle school yet, Hannah Grace has already endured quite a lot. She was diagnosed with Type 1 Diabetes at just 11 months old, and she also struggles with Celiac Disease. Despite these two challenges, Hannah Grace has proven that she is strong, hopeful, and determined. Hannah and her bath bombs are proof that you can do anything you set your mind to and overcome any challenges that may come your way, even ones that aren’t so easy. 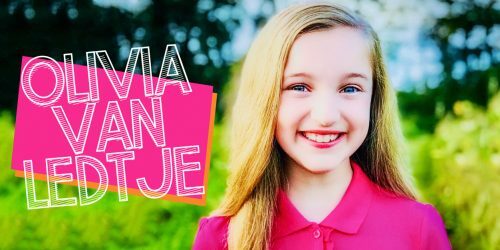 Besides using BeYOUtiful to spread a positive message and be a role model for young girls, Hannah Grace uses her brand for good. 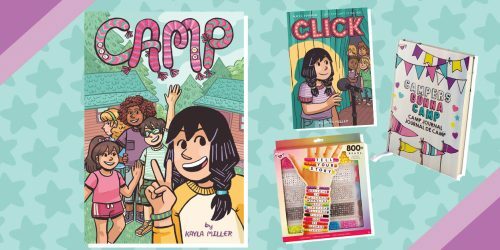 Proceeds of her sales have been donated to JDRF and Beyond Type 1, two organizations working towards awareness, research, and a cure for Type 1 Diabetes. 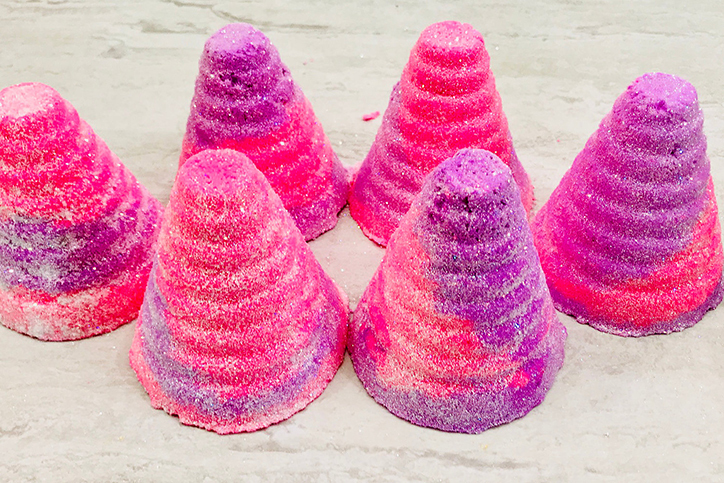 YAYOMG!ers get to benefit from Hannah’s generosity as well, because she’s offered up a 3-pack of bath bombs for us to giveaway, including her best seller, the bright and shimmery Unicorn Bomb! We were lucky enough to chat with her about BeYOUtiful. Keep on reading to get to know more about her and scroll all the way down to enter our giveaway! The story behind your business is quite inspiring. Can you share a little about how you started BeYOUtiful? HANNAH GRACE: After a couple of weeks of trying different recipes I took my best bath bombs to a store called Hippo, and they agreed to sell them. They put them on Instagram and soon other stores were asking me to sell them. Tell us a little about a day in the life of your business. What goes into bringing your products and brand to life? HANNAH GRACE: I love DIY, so I’m always making slime or body scrubs or other projects and sometimes it inspires me to make a new product or scent. I also try to do Instagram posts every day and make a YouTube video every week testing a new product or something else that I like. I have to make bath bombs during the week to keep up with supply. Your products are all gorgeous and have fun scents and names. How do you come up with the names, fragrances, and themes for your products? HANNAH GRACE: I try to make the name go with the color and the scent. Like Lavender is called Tranquility because it is relaxing. Where do you see yourself taking BeYOUtiful in the future? Do you have any business goals in mind? HANNAH GRACE: I’m not sure about the future. I love everything I get to do with BeYOUtiful, and I want it to keep growing but I’m excited to go to middle school next year, so I also want to do normal stuff. Do you have any favorite bath/beauty products that you love to use or would recommend for other girls your age? HANNAH GRACE: I use body spray and perfume from Pink a lot, and I love press-on fake nails, but I try not to use them all the time because the glue leaves residue on my nails. When you’re not busy with BeYOUtiful or school, what do you like to do for fun? 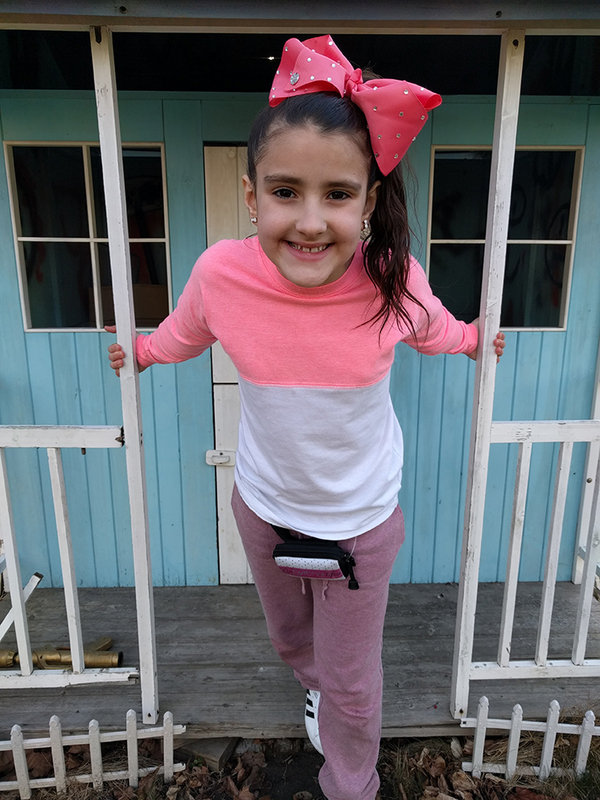 HANNAH GRACE: I do lots of gymnastics at a gymnastics academy, and I love facetiming and hanging out with my best friend, Maddie. I also love doing different DIY projects. Can you share a little about your partnership with Beyond Type 1 and your other charitable efforts? HANNAH GRACE: Ever since I started making money with bath bombs, I’ve liked to give back. I first donated to a girl in the next town who was hit by a car and had a lot of hospital bills. They had a fundraiser, and I sold bath bombs for her. Then I donated enough money for a water well in India through my church. After that, I wanted to partner with JDRF to support Type 1 Diabetes research, because we’ve always done the Walk For a Cure and we know a lot of people at JDRF. After that Beyond Type 1 asked me to do a fundraiser with them, so I donate each time people buy one of my unicorn bombs. HANNAH GRACE: When the business got really popular after my 60 Second Doc, it was really hard because I had to make so many bath bombs and ask my family for help. It was so much work! I learned that when a business grows that sometimes it has to change to keep working right. – ONE (1) lucky winner will receive a 3-pack of BeYOUtiful bath bombs, which will include one of Hannah Grace’s best sellers, the Unicorn Bomb! Get permission from your parent/guardian and fill out the form below by April 27, 2018! Giveaway begins on April 19, 2018 at 03:00 pm ET and ends on April 27, 2018 at 11:59pm ET. You must be 18 or older to enter. If you are under 18, you’ll need to get permission from your parent/guardian to enter and again if you win. Please provide THEIR email address when entering below. If chosen as a winner, you’ll need to provide contact info where we can reach your parent/guardian if you win. They’ll need to sign an affidavit permitting us to send your prize. Be sure to read the fully detailed rules HERE before entering. Note: BeYOUtiful will be sending your prize, so we will need to share your information with them if you win. Be sure to check out the BeYOUtiful website to see more of her awesome products including scented bath bombs, foot soaks, and shower cakes! 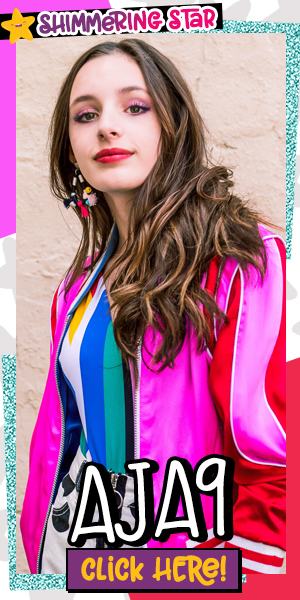 Hannah Grace is giving away some unicorn bombs on her Instagram as well, so be sure to give her a follow (@hannahgracebeyoutiful) and head over there for another chance to enter and win! If you were inspired by Hannah Grace and BeYOUtiful, check out our interview with Fiona Frills, YouTuber, and creator of Frilliance beauty products!